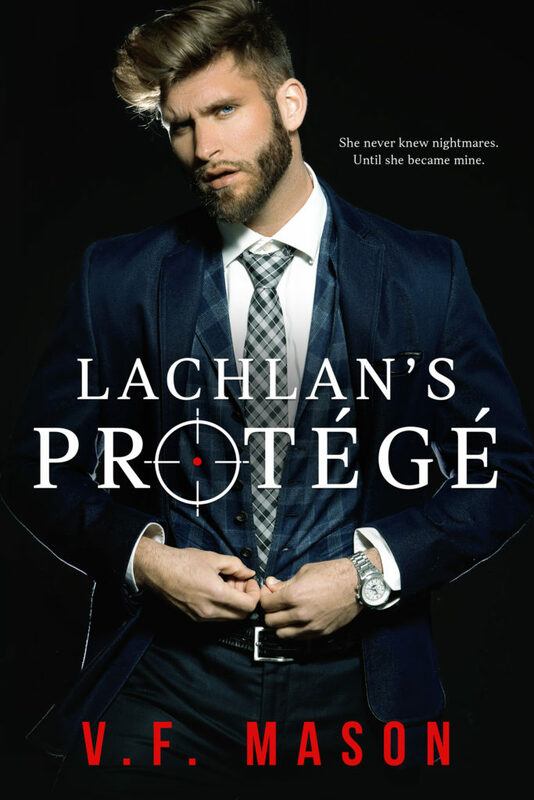 Lachlan’s Protégé by V.F. Mason is AVAILABLE NOW! She never knew nightmares. Until she became mine. She ran away from him. He wanted to destroy her. And only one of them would win. Dark reads always leave me in a jumble of emotions and make me think hard on gray areas. V.F. Mason takes it a step further and makes me crave the emotions that bubble up, the emotions that sympathize with a serial killer. The emotions that make me revel in the dark and the monsters we all hide. She gave me Lachlan, a tortured, rage filled, sadistic murderer. Then she made me fall deeply in love with him. She gave me Valencia, a talented, lost, sassy ballerina. Then she made me yell at her to lose her faith and join the dark side. These two characters are so well portrayed that they feel so real. These situations that Valencia is thrown in keep you in the edge of your toes. They keep your heart pounding. The internal struggle both Valencia and Lachlan go through is quite simply beautiful. One doesn’t want to lose faith, the other wants the monster inside to rein free. The romance that occurs with them is more hurtful than wanted. Both refuse to leave their core values, both end up loving and hating each other. It’s was mesmerizing to read. Obviously, I’m a huge fan of this book. This is a book you will remember years from now!